Are you an experienced professional with excellent analytical and consulting skills? Are you interested in strategic evaluations in the field of development cooperation, humanitarian aid and/or development finance? 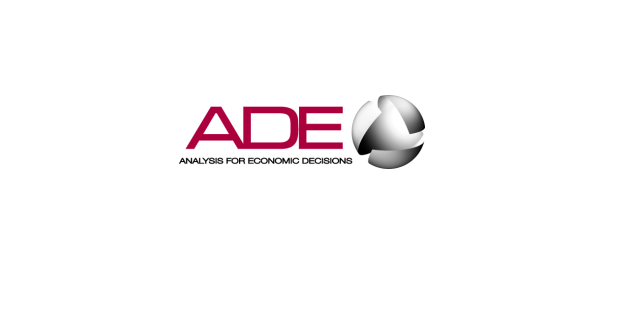 Do you have an entrepreneurial mindset and the willingness to further develop ADE’s activities in this field? Interested candidates are welcome to send their application in English (covering letter and CV) to Mrs. Andreea Toader (andreea.toader@ade.eu) by 25 March 2019. We may process applications as soon as we receive them. Please specify through which channel you heard about this position, and possible start dates. Only short-listed candidates will be contacted. The selection procedure will be conducted in three phases, including a case study and a logical test.